Keeping all of this in mind while offering treatment allows our expert audiologists to provide you with the best possible solution to your hearing loss. Learn more about our state-of-the-art hearing aids below. Invisible In Canal (IIC) – This type of hearing instrument is 100% invisible and sits deep in the ear canal allowing sound to travel quickly and accurately to your eardrum. Completely In Canal (CIC) – CIC micro-technology allows this virtually-invisible hearing aid to be worn deep inside the ear canal. In The Canal (ITC) – ITC hearing aids are smaller than the ITE style and are also custom-fitted to your ear canal. Over-the-Ear (OTE) – The OTE hearing aid style is similar to the BTE style, but is much smaller and less noticeable. This style hooks over the top of the ear and hides behind the top of the ear, holding the electronics in a slim case. A clear, narrow tube follows the front of the ear and carries sound to the tiny earbud, which sits virtually unnoticeable in the ear canal. Receiver In Canal (RIC) – RIC or Open-Ear hearing aids are the newest design to reduce or eliminate the echo or “plugged up” feeling wearers can sometimes experience (referred to as the occlusion effect). This style is easy to wear and virtually unnoticeable. All our hearing aids come with a 60-Day No-Obligation Guarantee! Once you purchase your hearing aids from us, all services, batteries, and adjustments are covered, and you can return your hearing aids within 60 days for a full refund with no restocking fee! 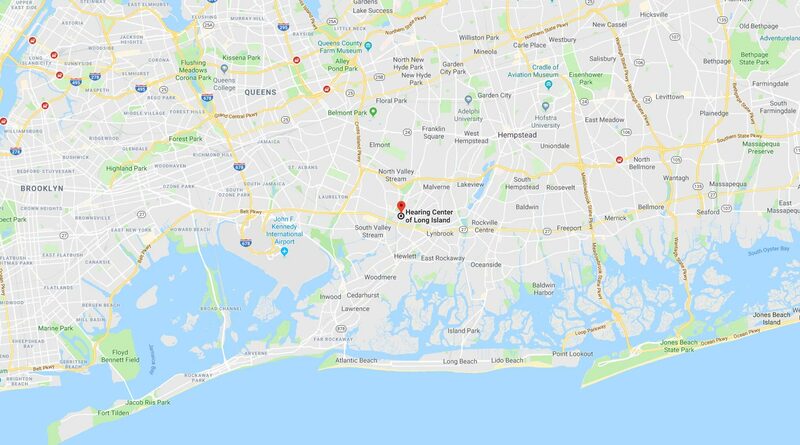 Schedule Your FREE Assessment for Hearing Aids near East Rockaway, NY, Today! Call 516.872.8485 or click here to schedule your appointment – we can’t wait to meet you!